When Recettear hit the scene, RPGs had their stand-out shop-keeping simulator. 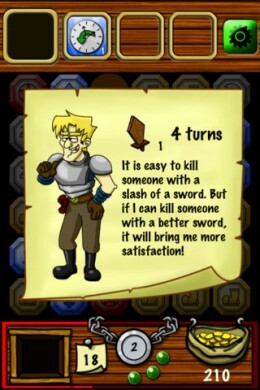 When Dungeon Raid ($0.99) arrived, we learned that gem-matching games make excellent roguelikes. From there it follows that we need a gem-matching RPG shop-keeping sim, like, say, Adventurer Workshop ($0.99), right? It isn’t quite a Dungeon Raid or a Recettear, but if that’s a mash-up that excites you then you’ll be well-served by this game. You play an artisan with customers that are, all things considered, extremely patient. An adventurer comes in with an order for a helm, and waits three turns while you ineffectually make a sword, some boots and finally her hat. The whole process eats away at your profit margin, but what are you going to do? As a crafter in a gem-matching world, you have to work with the tools you’re given. 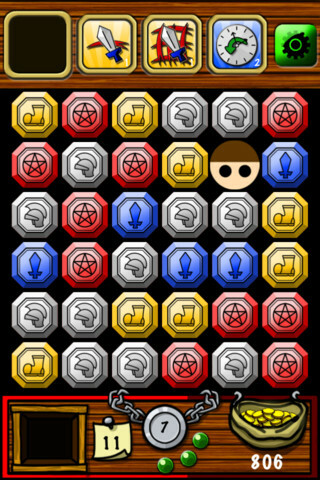 If you’re familiar with Dungeon Raid, you’ll know how to play this game. If not, it’s pretty simple: just draw lines through adjacent gems with matching colors. But if you come in with your Dungeon Raid skills and guns a-blazin’, you won’t last long. Adventurer Workshop is a game of scarcity and tight profit margins, and each move you make eats in to your bottom line. To keep your little shop afloat, you’ll need to keep customers happy while keeping your costs as low as possible. When customers drop into the field of play, they bring with them orders that specify an item, a level, and a turn limit. Fulfilling the order can be tricky; it requires making a line of matching gems that includes the customer, for one thing. So if a customer wants a sword but is surrounded by boots, you’ll have to clear a path within that turn limit. Not only that—the order’s level dictates the length of the chain you’ll need to make. So, fine, you figure out how to make the order happen, but maybe it involves making a pretty big chain that won’t net you a sale. Whoops, every item you make comes out of your limited budget. If you go bankrupt, you lose, so you need to keep customers happy and paying well. The payment depends on the level of the item you give them (higher is better, even if it exceeds their request) and how quickly you put it together. Juggling everything can get a bit demanding, but you can’t afford to fail. If the customer leaves unsatisfied, your shop will take a hit to its reputation, something it really can’t afford. This is a three strikes, you’re out kinda world. The game has a few fall-backs built in, though. For starters, you can file an item you don’t use into your stock to pull out for a later customer, which offsets your expenses a bit. You also earn experience as you progress, and every time you level you can choose a skill from a random list of three. These can lower your costs, increase your profit, remove gems or turn back the clock, among other things. So where most matching games fall on the frantic side of things, Adventurer Workshop is a slower, more thoughtful experience. You’re still subject to the whims of good fortune, but you can use the forces of capitalism to your advantage. That’s the good news. The bad news is that the game is more than a little rough around the edges. The text reads like it’s been translated awkwardly. 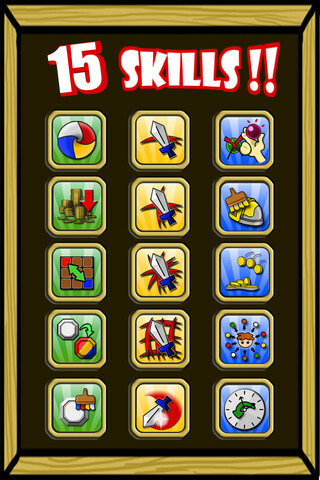 The skills aren’t explained until after you choose them. And the game crashes far more often than I’m comfortable with. If you’re particularly sensitive to these things, you might want to wait an update or two to see the kinks worked out. But Adventurer Workshop is a game worth playing. It may wear its inspirations on its sleeve, but it’s something new, something fun and challenging. 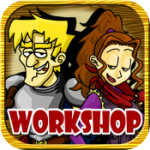 You can let out your inner adventurer in other games; Adventurer Workshop gives your inner artisan a chance to shine.